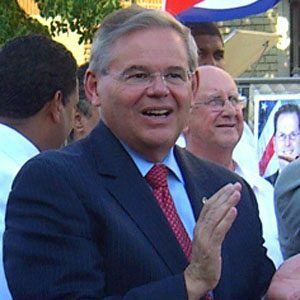 Democrat who first began representing the state of New Jersey in the U.S. Senate in 2006. He was appointed the Chairman of the Senate Committee on Foreign Relations in February 2013. He was only 20 years old when he was elected to the Union City Board of Education. He was the Mayor of Union City from 1986 to 1992 before becoming a New Jersey Congressman in 1993. He divorced from Jane Jacobsen in 2005 after 29 years of marriage; the couple had two children, Alicia and Robert. He succeeded John Kerry as Chairman of the Senate Committee on Foreign Relations in 2013.